The 2018 CSUN University Scholars. Photo by David J. Hawkins. 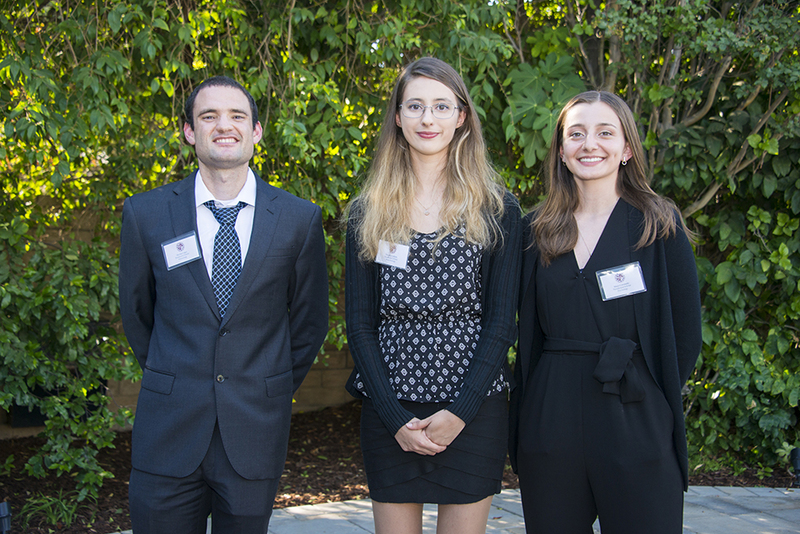 CSUN's 2018 Presidential Scholars: Nicolas Lopez, Natasha Carlson and Maya Coronado. Photo by David J. Hawkins. Yessica Santana speaks at the 2018 Northridge Scholars reception. Photo by David J. Hawkins. 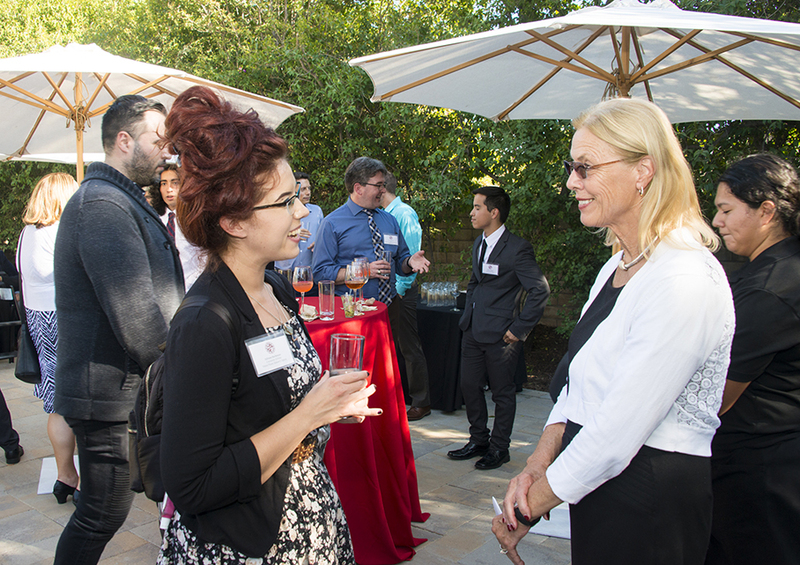 Adriana Bachmeier speaks to CSUN President Dianne F. Harrison at the 2018 Northridge Scholars reception. Photo by David J. Hawkins. Andrew Yllescas celebrates at the 2018 Northridge Scholars reception. Photo by Patricia Carrillo. CSUN biochemistry major David Romero. Photo by Patricia Carrillo. 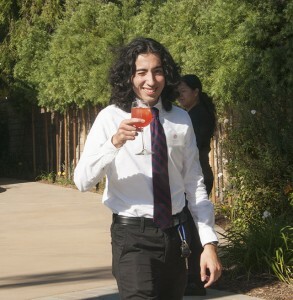 The shirt and tie were not the customary look for David Romero, an aspiring astrobiologist who said he typically wears a “groovy” tie-dye lab coat in a biochemistry lab as he tries to understand life on Earth before searching for it beyond. 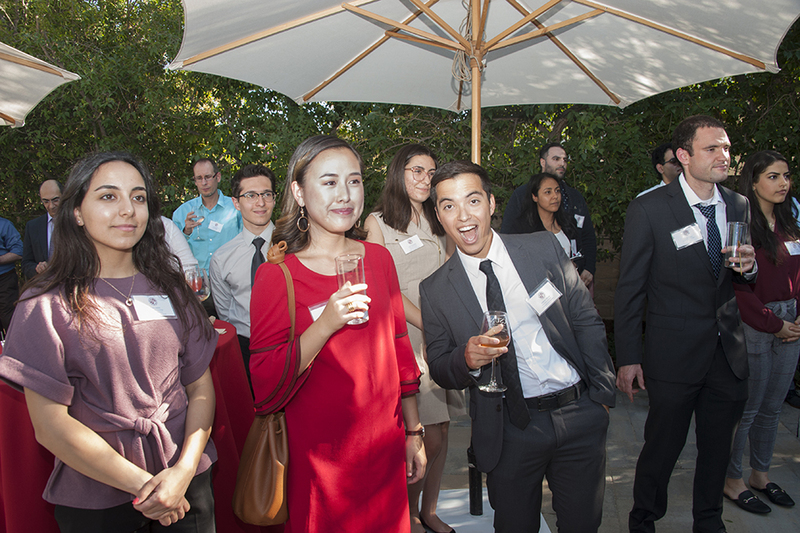 Romero had dressed up to be honored on Sept. 28 alongside 26 other Northridge Scholars, among the hardest-working and highest-achieving students at California State University, Northridge. Romero, a third-year biochemistry major, said his schedule can be daunting — lots of classwork, hours of research — but he and other scholars can see their work paying off as they march ever closer to their dreams. “At the end of each semester, I just feel a sense of fulfillment,” he said. 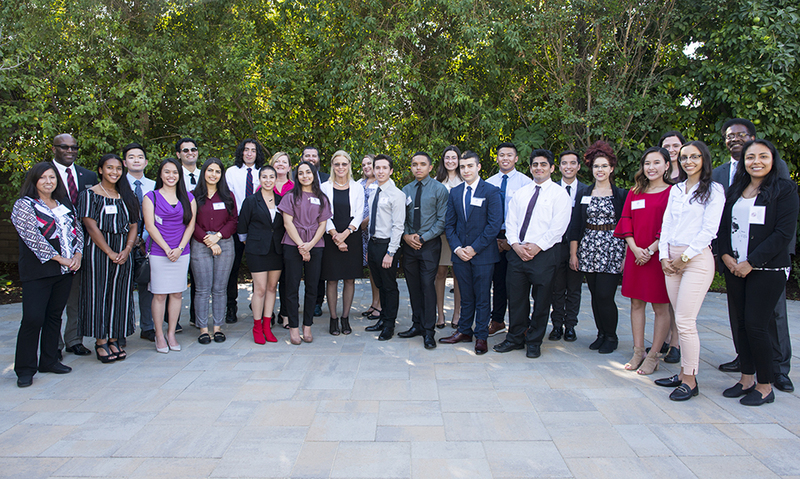 Romero and his fellow Northridge Scholars received a significant measure of validation when they were honored at the University House, home to CSUN President Dianne F. Harrison. The scholarships include financial assistance and access to mentors who can guide students on their paths to success. Out of 127 applicants, just three students were awarded Presidential Scholarships, and 24 were recognized as University Scholars. Harrison congratulated each scholar on their academic accomplishments and dedication to their studies. Even though they came from a wide variety of academic focus areas, they shared the commonality of achieving at the highest levels. “You have the opportunity to network with each other and understand that right here you have a support group of other students who are very serious and aspirational about academic achievements,” Harrison said. The Presidential Scholarship includes $10,000 and the opportunity to work on yearlong projects with faculty mentors. The scholars will display these projects at a culmination event in the spring. Each University Scholar is awarded $7,500. University Scholars engage in scholarly development activities such as attending conferences, participating in internships and taking leadership roles in clubs and organizations as they deeply explore their field of interest. “The Northridge Scholars program is really one of our marquee academic areas and programs and areas of focus, where we get a chance to select some pretty fabulous students to be mentored and to undertake learning activities and engagement throughout the year,” said Vice President of Student Affairs and Dean of Students William Watkins. Lana Zimmerman, a junior political science major with a sustainability minor, is a University Scholar for the second time. She said she received valuable mentorship from faculty and administrators that enhanced her chances for success as a first-generation college student. Networking with other Northridge Scholars has also helped, she said. “Meeting other like-minded people who are extremely driven helps in those difficult moments,” Zimmerman said. Natasha Carlson, a Presidential Scholar, is a senior biotechnology major studying how antibiotic-resistant bacteria is spreading and what makes it resistant. The scholarship is evidence that CSUN supports its students, she said. “It’s obviously a very good school, by the fact that it encourages students not only to excel but to enjoy what they’re doing,” Carlson said. The University Scholarship award is funded by the Bayramian Family Scholarship Endowment. The Presidential Scholarship award is funded by Associated Students, the Bayramian Family Scholarship Endowment, the Blenda Wilson Scholarship, the Diane Ryan Scholarship Endowment and the Medtronic Minimed Endowment. 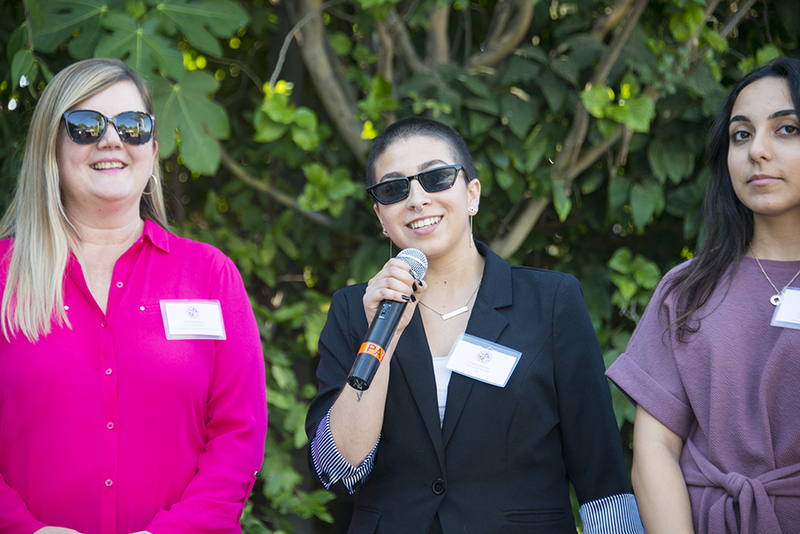 Many of the scholars said the awards help ease financial stress and allow them to focus on their work. Adriana Bachmeier, a music industry studies major and University Scholar, said she wouldn’t have been able to afford to finish her senior year, during which she will work for the student-run, faculty-advised record label Five of Five Music Entertainment.